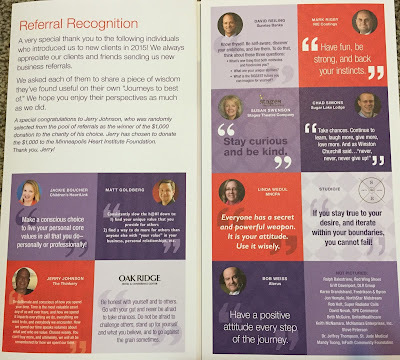 Here's an outstanding way to encourage more referrals to your business, especially if you sell a service. Too often, we forget to thank the people who send us referrals. Which is a mistake. William James, the father of American psychology, wrote: "The deepest principle in human nature is the craving to be appreciated." 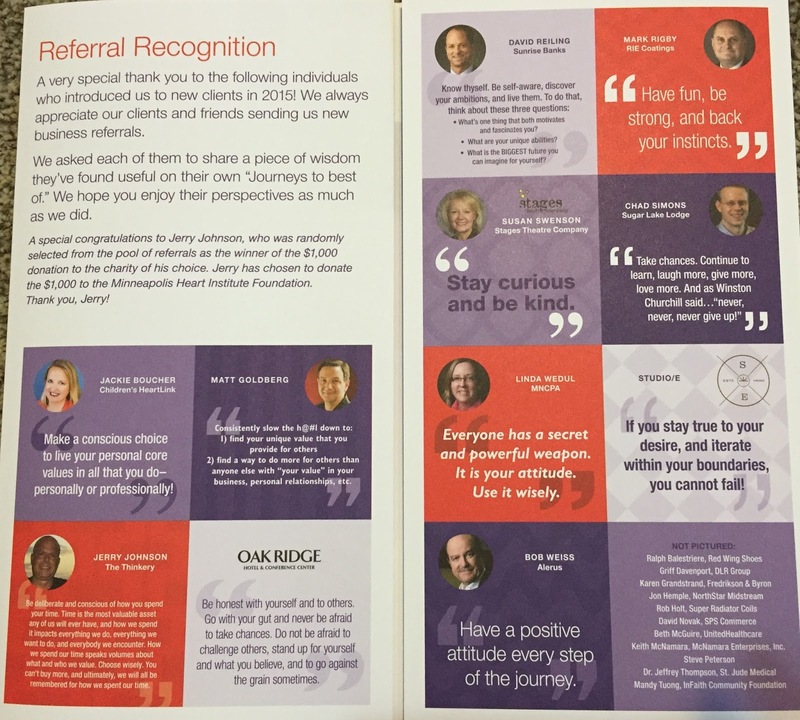 When you give people appreciation for their referrals, they will give you more referrals. Because you get more of any behavior that you reward. And when you reward that behavior with public recognition, by publishing photos and quotes from clients who refer, you "super size" this process. Your clients will save that issue of your newsletter with their picture in it ... and they will likely talk about it and show it to other people. Which naturally leads to more referrals. There are many ways to incentivize referrals: you can offer a cash reward, gift card, discount on a future purchase, or some combination of those. But The Prouty Project goes beyond typical rewards by offering a $1,000 donation to charity for one randomly chosen referrer. Then, they take it one step further by letting the winner select the charity that receives the money. This is a triple play: The Prouty Project wins by supporting a good cause; the winner wins by choosing a charity to support; and the charity wins by getting $1,000. To power up your referral rewards program (you do have one, don't you?) use these two ideas: publicly recognize referrals and reward referrals with donations to charity. A smart referral rewards program is a true Marketing Multiplier: Small actions that deliver big profits. This is so low-tech, it's practically NO-tech. And you can create one today.